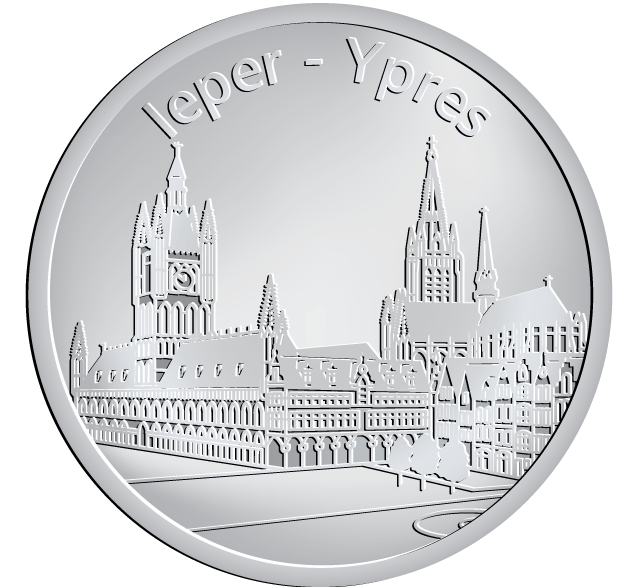 This coin shows a view of the picturesque city centre of Ypres, with a view on the Cloth Hall – Belfrey and the St. Martin’s Cathedral. The cloth industry was the major factor in the sudden and rapid growth of the town in the 12th century. Around the 10th century this industry was located in the region of the Somme. There was considerable demand for cloth and this resulted in a rapid growth in the number of production centres. The shift occurred in a northerly direction thereby involving Ypres in this industrial circuit. 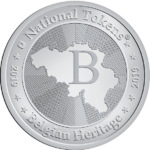 Under the terms of the Treaty of Nijmegen signed between Spain and France in 1678, Ypres was placed under French rule until 1713. Louis XIV entrusted the renovation of the ramparts to his renowned expert Sebastien le Prestre, Margrave of Vauban. They became so vast that they covered more surface than the town they had to protect.